The University of Southampton is pioneering an open data revolution by publishing its non-personal data online to provide potential students with information that will help them make a choice about what and where to study. data.southampton.ac.uk (http://data.southampton.ac.uk/), which launches today (7 March), builds on the University’s commitment to access by opening up a wide range of data for students to create the information they seek in the way that they want it, such as by developing iPhone apps. There will be over 20 datasets available on data.southampton.ac.uk with information about University buildings, National Student Survey statistics, research outputs and financial statements. Over the coming year, the University will progressively increase the bank of data available. The University is making the data available under an open licence, from a single point of access and in a standard format – this gives anyone permission to use and reuse the data. 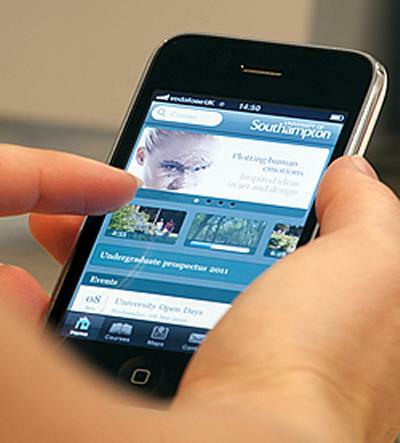 As well as students, the information can be used by anyone to create new apps and services that will be of benefit to the University, its staff, students, visitors and the city of Southampton. The University has already created apps such as an iPhone app to showcase its 2011 Undergraduate prospectus and give further details into life at the University and Sotonbus (developed by computer science students Ashley Browning and John Isger) that provides real-time information about bus services across the city, while electronics student François-Xavier Beckers used data to create iSoton, which acts as a personal assistant for students providing timetables, lecture locations and a campus map. For the past 10 years, the University of Southampton has been a pioneer in Open Access to research. Professor Sir Tim Berners-Lee and Professor Nigel Shadbolt have been leading the data.gov.uk project, and are key members of the current government’s transparency initiative.